Bill Murray is the master of quirky characters, so it’s little wonder that portraying a motivational speaker who inherits an elephant would be a natural fit. 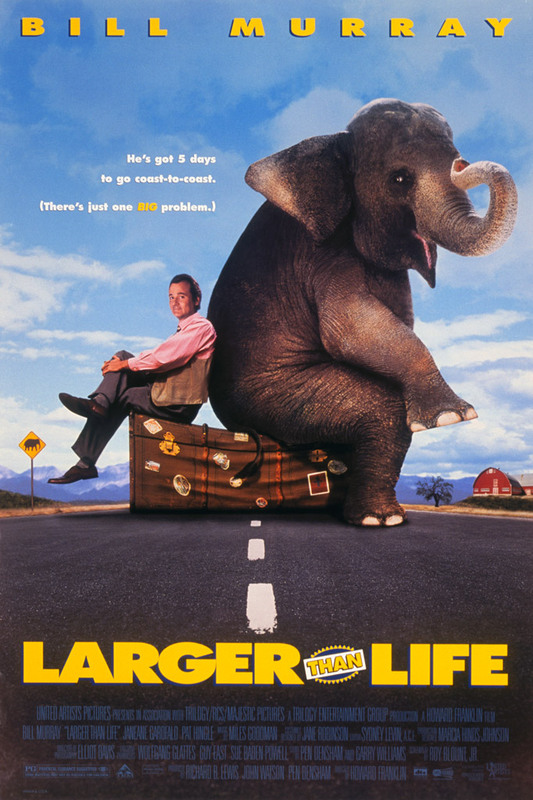 "Larger than Life" is madcap, screwball comedy fun at its best. Directed by Howard Franklin ("Quick Change") from Roy Blount, Jr’s screenplay (story by Pen Densham and Garry Williams), "Larger Than Life" features a cast that includes Jeremy Piven ("Entourage"), Janeane Garofalo ("Touch"), Matthew McConaughey ("Dallas Buyers Club"), Linda Fiorentino ("Unforgettable") and Pat Hingle ("The Falcon and the Snowman").